ZSL Whipsnade Zoo, formerly known as Whipsnade Wild Animal Park, is a zoo and safari park located at Whipsnade, near Dunstable in Bedfordshire, England. It is one of two zoos (the other being ZSL London Zoo in Regent's Park, London) that are owned by the Zoological Society of London (ZSL), a charity devoted to the worldwide conservation of animals and their habitats. The park covers 600 acres (2.4 km2), and can be located from miles to the north and from the air because of the Whipsnade White Lion, a large hill figure carved into the side of the Dunstable Downs (part of the Chiltern Hills) below the white rhino enclosure. The distinctive white lion hill figure was completed in 1933. Due to its size, inside the park, visitors may walk, use the zoo's bus service, or drive their own cars between the various animal enclosures, or through an 'Asian' area where some animals are allowed to roam free around the cars. There is also a train service, the 2 ft 6 in (762 mm) narrow gauge Great Whipsnade Railway, also known as the "Jumbo Express." ZSL Whipsnade Zoo is the UK's largest zoo and one of Europe's largest wildlife conservation parks. It is home to 3,873 animals, many of which are endangered in the wild. The majority of the animals are kept within sizeable enclosures; others, such as Peafowl, Patagonian Maras, and Red-necked Wallabies, roam freely around the park. The Zoological Society of London was founded in 1826 by Sir Stamford Raffles with the aim of promoting the worldwide conservation of animals and their habitats. To this end ZSL London Zoo in Regents Park, London was established. Almost 100 years later, Sir Peter Chalmers Mitchell (ZSL Secretary 1903–1935) was inspired by a visit to the Bronx Zoological Park to create a park in Britain as a conservation centre. Hall Farm, a derelict farm on the Dunstable Downs, 30 mi (48 km) to the north of London was purchased by the Zoological Society of London in 1926 for £480 12s 10d. The site was fenced, roads built and trees planted. The first animals arrived at the park in 1928, including two Lady Amherst's pheasants, a golden pheasant, and five red junglefowl. Others soon followed including muntjac, llama, wombats and skunks. Whipsnade Park Zoo opened on Sunday 23 May 1931. It was the first open zoo in Europe to be easily accessible to the visiting public. It was an immediate success and received over 38,000 visitors on the following Monday. The brown bear enclosure is a surviving feature from the earliest days of the zoo. The collection of animals was boosted in 1932 by the purchase of a collection from a defunct travelling menagerie and some of the larger animals walked to the zoo from Dunstable station. During the Second World War, the zoo acted as a refuge for animals evacuated from the Regents Park London Zoo. The celebrity giant pandas Ming, Sung and Tang were among these animals but were soon returned to London to boost morale in the capital. During 1940, 41 bombs fell on the park with little damage to the zoo structure; a 3-year-old giraffe named Boxer, which had been born at the zoo, was frightened to death by the explosions. Some of the ponds in the park are the remains of bomb craters from this period. In 1996, a new elephant house and paddock was opened to replace the architecturally outstanding but cramped original elephant house designed by Lubetkin and Tecton in 1935. The old house remains at the zoo as a Grade II* listed building and its associated enclosure contains the zoo's lemurs. In the early 2000s the zoo added new exhibits including Lions of the Serengeti in 2005, a walk-through lemur enclosure in 2007 (officially opened on 28 March 2007 by Dominic Byrne from The Chris Moyles Show on Radio 1, who is a regular visitor to the park), the Rhinos of Nepal exhibit in February 2007, Cheetah Rock on Easter 2008, a sloth bear exhibit in May 2008, and Wild Wild Whipsnade in May 2009. In July 2008, the Café on the Lake was reopened after remodelling, with its name changed to the Wild Bite Café. In May 2009, William Windsor (known as Billy), a goat mascot of the British Army's Royal Welsh regiment, retired to the zoo after eight years' distinguished service performing ceremonial duties. Set amidst 30 acres of rolling paddocks, their nine Asian elephants can enjoy the brand new custom-designed Centre for Elephant Care. Highlighting ZSL Whipsnade Zoo’s elephant-expertise, the Centre provides more than 700m² of indoor space, and is fitted out with a host of elephant-friendly features, including one metre-deep soft sand flooring to provide maximum comfort and dimming lights to mimic night-time. Try your hand at giving an elephant pedicure on a replica foot and also examine the species’ physiology by studying the results of an elephant skull x-ray and an ultrasound of a pregnant female. Watch the herd from a balconied viewing platform as they socialise together and also get a unique insight into the daily attention lavished on the pachyderms by their zookeepers. A large electronic board displays the live infrasonic vocalisations (very low frequency sounds that are below the threshold of human hearing) being made by the elephants so visitors will be able to see how the herd communicate with each other. New signage and information displays highlight the research conducted by ZSL’s vets and the lengths the keepers go to care for the elephants. Listen to our new elephant talks, led by the Zoo’s team of presenters, about Asian elephants’ fascinating biology and behaviour, as well as the amazing conservation work carried out by ZSL to protect the species in the wild. Meet the herd. Get to know our nine-strong family of Asian elephants. Emmett. Emmett is the herd's only adult male and is a strong and independent elephant. He's also Dad to Sam and Elizabeth. Mya. The largest female of the herd, Mya is not a mother herself but she is the undoubted boss, and matriarch, of the herd. Also Mya is a very greedy elephant! Kaylee. Kaylee is clever and practical and she's Mum to Donna. Kaylee and Donna are very close. Lucha. Lucha doesn't like to share her food! She plays the role of protective Auntie to Donna and she is very affectionate. She also loves a bit of fuss from her keepers. Azizah. An experienced mum who has given birth to four boys, most recently young Sam. Azizah is always the first to dive into a puddle or mud, and often enjoys a midday nap. Karishma. Karishma is the fastest learner in the herd, but she has also been known to make herself jump looking at her own shadow! Karishma is Elizabeth's mum. Donna. A young and stubborn herd member. She likes to play-fight with Sam and keepers think she will be a natural mother in time to come. She's very intelligent and a great problem solver. Sam. Sam is a typical young male who is very cheeky, boisterous and sometimes a bit naughty. He is often seen trying to wind up Elizabeth. Elizabeth. The youngest in the herd, Elizabeth was named in honour of HM The Queen to celebrate the latter's 90th birthday in June 2016. She is very playful and has a ‘football’ she takes everywhere and gets stroppy if it’s taken away. Elizabeth also loves to play in piles of sand. Red pandas are one of the most popular animals at ZSL Whipsnade Zoo with their cute, furry appearance. In fact, their long, thick fur is to protect them from their rainy, mountainous habitat in the Himalayas and the reddish brown colour helps them blend in with the trees they inhabit. They are endangered in the wild mainly due to habitat destruction. Red pandas are rather shy creatures naturally, but with a little patience it's easy to spot the red pandas at ZSL Whipsnade Zoo. Red pandas are more active during the afternoon and evening so you can usually spot their red pandas resting up in their big tree during the day, either curled up to keep warm or stretched out to cool off. You can meet Hoover, Lola, Hoover and the latest addition to ZSL Whipsnade Zoo's hippo herd - baby Hodor! Hodor was born to mum Lola in July. The little one sports the exact same pink skin markings – a natural variation in pigmentation – on its legs as his mum, giving the appearance that the calf is wearing a tiny pair of socks. Common hippos are originally from west and east central Africa. The word hippopotamus comes from the Ancient Greek meaning "river horse". Common hippos are classified as Vulnerable on the IUCN’s Red List of Threatened Species, but their populations are in decline due to threats including hunting and habitat loss. New calf Hodor is part of the European Endangered Species Programme (EEP), which helps ensure the survival of endangered species in Zoos across Europe. Pygmy hippos live in forests near water and are shy and reclusive compared to the more greagrious and social common hippo. They spend much of their day in the water which helps to keep them cool and protect their skin from the sun in hot climates. You can often find ZSL Whipsnade Zoo's trio of pygmy hippos camoflaged in their outdoor pond, or if it is a colder day, in their indoor heated pool! The Rhinos of Nepal exhibit provides a fantastic home for their greater one horned rhinos, highlighting ZSL's conservation work with these “armour-plated” giants. The £1m development features indoor heated pools so that the rhinos can enjoy their favourite past time – wallowing in muddy water – all year round. A spacious viewing area allows the public to get a close-up view of the rhinos indoors as well as outdoor viewing of them in their paddock. A walk across to the “maternity wing” takes visitors through the specially-designed watch tower, modelled on those used by conservationists to spot rhino in the field. 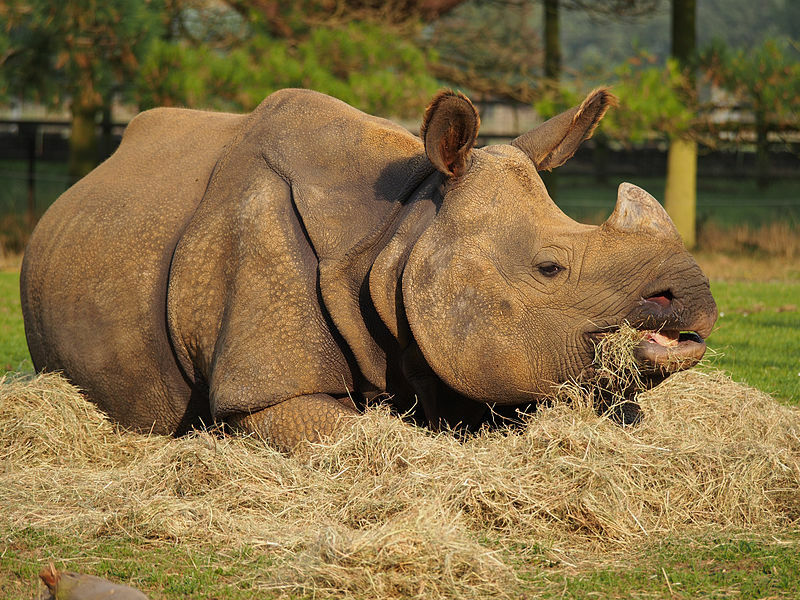 Rhinos of Nepal is ZSL’s first fully “green” exhibit. The building utilises recycled and local materials where possible (such as recycled railway sleepers and local sandstone). Making use of natural sunlight, and unique water treatment systems linked to a reed bed system to filter waste water before it drains away. Many other features, such as rubberised flooring for improved foot care, safe animal confinement for training, and flexible stall spaces within a well-ventilated environment, also enhance their environment. Click here for a video of adorable baby rhino Bali. Their chimps have a wonderful enclosure including an extensive indoor gymnasium so they can swing to their hearts' content. The chimpanzee enclosure consists of both indoor and outdoor areas for the chimps to roam freely between. The indoor gymnasium or ‘chimpnasium’ provides the group with a variety of opportunities for swinging, playing and even sleeping in the high level hammocks. The enclosure provides a stimulating habitat which is ideally suited to the chimps’ needs. Sea lions are sea mammals characterized by external ear flaps, long foreflippers, the ability to walk on all fours, short, thick hair, and a big chest and belly. These intelligent Californian sea lions - Dominic, Lara and Bailey - love to show off and demonstrate their natural behaviours for Zoo visitors. Tigers are one of our planet’s top predators and a big tiger can take prey of up to one tonne in size. They can also take small animals like fish and frogs - but mostly they like to eat wild pigs and deer. Depending on how many deer and pig there are per square kilometre of forest, a single tiger might need as much as 2,000 km sq for his home range, if he lives in the temperate forests of Russia – or as little as 10 km sq, if he lives in the most fertile parts of India or Nepal. So tigers are losing their homes through conversion of forests – often illegally for short-term gain - to logging and agriculture. There is only one species of tiger in the world – (Panthera tigris), but it is divided up into geographically separate groups called subspecies. The Amur tiger (also called Siberian tiger) is one of the largest; it also has the lightest colour and the longest coat. Take yourself back to a time when beasts walked the land and wolverine peeped out from shady woodlands at ZSL Whipsnade Zoo. The wolverine is a stocky and muscular carnivore, more closely resembling a small bear than other mustelids. A solitary animal, it has a reputation for ferocity and strength out of proportion to its size, with the documented ability to kill prey many times larger than itself. The Eurasian brown bear has brown fur, which ranges from yellow-brownish to dark brown, red-brown, and almost black in some cases; albinism has also been recorded. The fur is dense to varying degrees and the hair can grow up to 10 cm in length. The head normally is quite round in shape and has relatively small rounded ears, a wide skull and a mouth equipped with 42 teeth, including predatory teeth. It has a powerful bone structure and large paws equipped with claws that can grow up to 10 cm in length. The weight varies depending on habitat and the time of the year. A full-grown male weighs on average between 250 and 300 kilograms (550 and 660 lb), and reaches a maximum weight of 481 kg (1,058 lb) and length of nearly 2.5 m (8.2 ft). Females typically range between 150 and 250 kg (330 and 550 lb). Brown bears were present in Britain until no later than 1000 AD, when they had been exterminated through over-hunting. Eurasian brown bears were used in Ancient Rome for fighting in arenas. The strongest bears apparently came from Caledonia and Dalmatia. In antiquity, the Eurasian brown bear was largely carnivorous, with 80% of its diet consisting of animal matter. However, as its habitat increasingly diminished, the portion of meat in its diet decreased with it until by the late Middle Ages, meat consisted of only 40% of its dietary intake. Today, meat makes up little more than 10–15% of its diet. Whenever possible, the brown bear will consume sheep. The Eurasian lynx is the largest of the four lynx species, ranging in length from 80 to 130 cm (31 to 51 in) and standing 60–75 cm (24–30 in) at the shoulder. Males usually weigh from 18 to 30 kg (40 to 66 lb) and females weigh 8 to 21 kg (18 to 46 lb). Male lynxes from Siberia, where the species reaches the largest body size, can weigh up to 38 kg (84 lb) or reportedly even 45 kg (99 lb). It has powerful, relatively long legs, with large webbed and furred paws that act like snowshoes. It also possesses a short "bobbed" tail with an all-black tip, black tufts of hair on its ears, and a long grey-and-white ruff. During the summer, the Eurasian lynx has a relatively short, reddish or brown coat, which tends to be more brightly coloured in animals living at the southern end of its range. In winter, however, this is replaced by a much thicker coat of silky fur that varies from silver-grey to greyish brown. The underparts of the animal, including the neck and chin, are white at all times of the year. The fur is almost always marked with black spots, although the number and pattern of these are highly variable. Some animals also possess dark brown stripes on the forehead and back. Although spots tend to be more numerous in animals from southern populations, Eurasian lynx with heavily spotted fur may exist close to others with plain fur. Eurasian lynx make a range of vocalizations, but are generally silent outside of the breeding season. They have been observed to mew, hiss, growl, and purr, and, like domestic cats, will "chatter" at prey that is just out of reach. Mating calls are much louder, consisting of deep growls in the male, and loud "meow"-like sounds in the female. Eurasian lynx are secretive, and because the sounds they make are very quiet and seldom heard, their presence in an area may go unnoticed for years. Remnants of prey or tracks on snow are usually observed long before the animal is seen. The Grevy’s zebra has much narrower stripes that the other two zebras species, and it can live on grasses which are too tough for cattle to eat or digest. Originally from Northern Kenya and Ethiopia, you will discover a whole herd of Grevy's zebra at ZSL Whipsnade Zoo. Grevy’s zebras are successfully bred at ZSL Whipsnade Zoo as part of a European Endangered Species Programme, with 26 foals born over the years. The Grevy's zebra is classified as 'Endangered' on the IUCN Red List of Threatened Species. In the past - particularly in the 1970s and 80s - the Grevy's zebra suffered declining numbers due to commercial hunting for their skins and have continued to be affected by habitat loss. 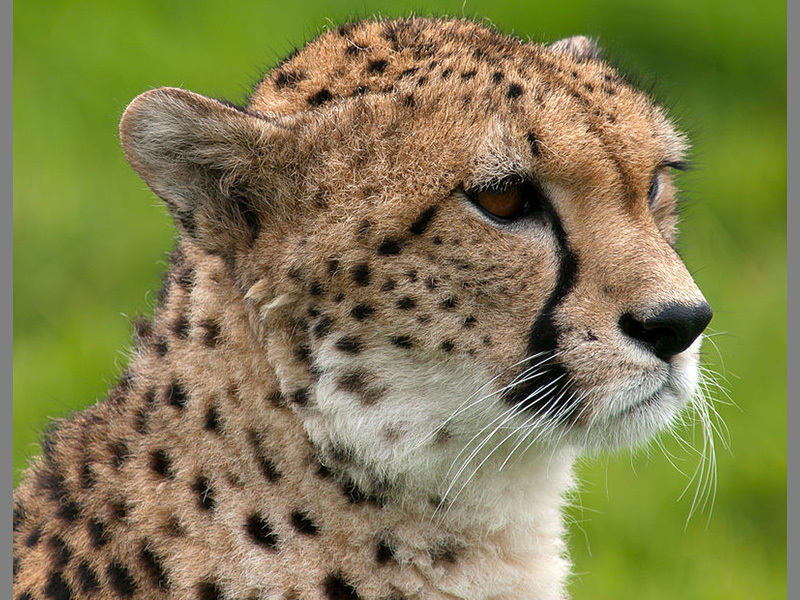 Be captivated by the beauty and magnificence of the fastest land animal on earth when you visit Cheetah Rock. Enter the fantastic 4,000m² £1 million exhibit along the main pedestrian path, which follows across the road from Lions of Serengeti and their African Village. Once you’ve crossed the road via the Cheetah Crossing a standing stone bearing the Cheetah Rock logo will welcome you in. As you move along the path view our Zoo ‘athletes’ from an African style hut, where floor to ceiling glass are the only thing separating you from the animals. Cheetahs have been a long-standing success story at ZSL Whipsnade Zoo, where a staggering 130 cubs have been born and reared in the last 40 years. To build on this and restart their breeding programme the exhibit will also include an off-show breeding area. Learn about cheetahs and ZSL’s involvement with these amazing animals via the Cheetah Conservation Programme in Tanzania and curious cheetah facts that are displayed in the viewing area. If you’ve ever wondered what field conservation work is like, they offer you the opportunity to carry out Cheetah ID. Using reference photographs and a modified version of the actual software used in the field by our cheetah conservation team you will be able to ID individual cheetahs from tourist photographs sent in and field sightings. On leaving the African style hut there will be information boards explaining how researchers use ‘signs of life’ to locate animals, ID them and how often they count them. In the ‘discovery’ area you can also fast track your own knowledge of a cheetah by testing your acceleration speed on the Cheetah Sprint running strip. You can then compare your running speed against the speed of a cheetah against the same distance - and discover if you stood a chance if you were prey! This also includes a display safari Land Rover, depicting real life cheetah conservation activities in the African savannah. Hullabazoo Farm is an interactive, up-close adventure, where little ones are able to meet and greet a whole host of farmyard friends. Some of the many animals you can meet on the farm include, miniature donkeys, Trevor and Tulip, a family of pygmy goats, Gloucester old spot pigs and piglets, sheep and lambs, bunnies, guinea pigs, ferrets and cute newly-hatched chicks. Trevor and Tulip came to the zoo in October 2013 and have been causing trouble ever since. These pint-size miniture donkeys, which stand at less than 3 foot tall, seem unaware of their tiny stature. Keepers at the zoo say the twosome rule their paddock, even bossing the giant Poitou donkeys around. But don't worry, these little guys still can't resist having some cuddles with visitors - especially if carrots are involved. Marge is a Gloucester old spot pig who likes the simple things in life – wallowing, sleeping and eating. Marge is due to give birth soon and all the farm can’t wait to meet her little piglets. All the animals agree that Marge is going to make a great Mum who will teach her babies how to wallow like a true pig. Gobbles is part of the infamous Lavender Hill mob that live at the farm. Together with his two turkey buddies, Gobbles and the gang roam the farm. But don’t worry; they’re not looking for trouble just some tasty treats. 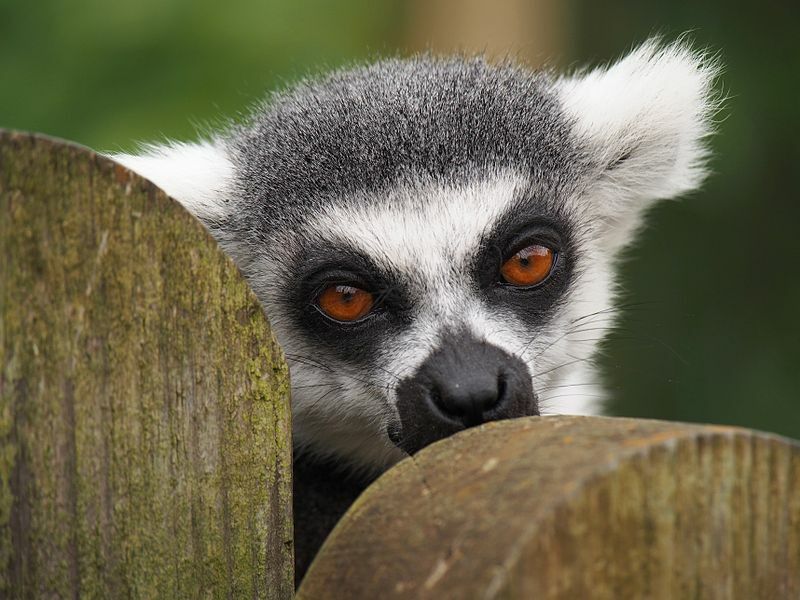 Walk onto the lemurs’ island in ZSL Whipsnade Zoo and get seriously close to their beautiful ring-tailed lemurs. Enter via a bridge over the moat and then walk across the island to the waterfall area where a raised walkway will allow you to get a better view of the lemurs in their favourite spot - sunbathing in the sunshine. A small viewing area is situated to the front of the enclosure where visitors can stop and watch these energetic primates leaping about, catching a bit of sun and maybe even having a stink fight! They’ll run rings round you! Lemurs are unique in that they are found only on Madagascar, an island off the coast of Africa. Cat-sized with dense grey fur, white underparts, a black face mask and an extravagant, boldly hooped black and white tail, the Ring-tailed lemur is the most instantly recognisable of all lemurs. Lemurs are very agile and can move from branch to branch very easily using their long tails for balance. They are capable of jumping several meters from one tree to another, using their very muscular back legs to push off the tree. Ring Tailed lemurs are the only species of lemur to live on the ground more than they use trees and are predominantly active during the day. The Ring-tailed lemur’s diet consists mainly of fruit, leaves, flowers and occasionally other animal prey. Lemurs themselves are often prey to fossa where they still occur, as well as boa constrictors and eagles. In lemur society it is the females that are dominant. Hierarchy normally breaks down during breeding season when the males compete equally for females by having ‘stink fights’. Male lemurs scent their tails by rubbing the scent glands in their wrists along their tail and then wave the highly scented tail in the direction of the rival. The one with the most noxious perfume wins the fight. Interesting fact – the scent can’t be smelt by humans! The Ring tailed lemurs also use their long black and white tail (which is almost twice as long as its body) as a communicator; the striking colour helps them make visual signals to others, while a tail raised high gives the signal ‘follow me’. Additionally smell used a lot in communication, particularly during ‘stink fights’. They have 22 vocalisations including a ‘meiow.’ Some vocalisations are just communication between the groups so they know where others are and some are loud alarm calls. Today Ring-tailed lemurs are under threat as a result of hunting, habitat destruction and microclimatic change. The decline of lemurs has been so rapid that extinct species’ remains haven’t even had the time to form fossils but are rather known from bones and skeletons found in caves. Interesting fact - Lemur means ‘ghost’ in Latin. From the way they waddle, to their tuxedo like feathers, no one can resist the loveable charms of a penguin. Here at ZSL Whipsnade Zoo, they're lucky enough to feature two penguin colonies: African black-footed and Rockhopper. You can find these two groups of penguins living in an amazing natural environment, featuring custom penguins pools, stunning Dunstable views and even rock formations for our (you guessed it) rockhoppers. Everyday visitors can learn about these endearing flightless birds through the feeding time talks. As our colonies tuck into their dinners, the presenters will share some amazing facts about these birds that originate all the way from around South America. The African penguin, also known as the jackass penguin and black-footed penguin, is a species of penguin, confined to southern African waters. It is also widely known as the "jackass" penguin for its donkey-like bray, although several related species of South American penguins produce the same sound. Like all extant penguins it is flightless, with a streamlined body, and wings stiffened and flattened into flippers for a marine habitat. Adults weigh on average 2.2–3.5 kg (4.9–7.7 lb) and are 60–70 cm (24–28 in) tall. It has distinctive pink patches of skin above the eyes and a black facial mask; the body upperparts are black and sharply delineated from the white underparts, which are spotted and marked with a black band. The pink gland above their eyes helps them to cope with changing temperatures. When the temperature gets hotter, the body of the African penguin sends more blood to these glands to be cooled by the air surrounding it. This then causes the gland to turn a darker shade of pink. The African penguin is a pursuit diver and feeds primarily on fish and squid. Once extremely numerous, the African penguin is declining due to a combination of threats and is classified as endangered. It is a charismatic species. Rockhopper penguins are among the smaller species of penguin. They range from 3 inches to 6 where males are larger than females. After reaching full growth, they are about 20 inches in height. Males and females cannot be distinguished just by looks, so a DNA test is conducted by taking a feather from the bird to determine its gender. Like many penguins, rockhopper penguins have a white belly and the rest of their body is black. Some characteristics that differentiate them from the other penguins are their red eyes, orange beak, pink webbed feet, and the yellow and black spiky feathers they have on their head. Although their yellow and black spiky feathers differentiate them from other penguins, rockhopper penguin chicks do not have them; these feathers develop with age. Their orange beak is initially black, but as the penguins get older, their beaks turn orange. Due to the harsh rocky environment, they cannot slide on their bellies like most penguins, so they hop to get from one place to another. Come face to face with the tallest mammal in the world at ZSL Whipsnade Zoo’s Giraffe platform! Their custom built enclosure offers a high level viewing platform, allowing you to get closer than ever to these amazing creatures. You may see the giraffes grazing in their paddock, or they could be chilling in their revamped barn. Their newly extended barn comes with its own nine foot viewing area, with Giraffe Heights able to hold up to 300 visitors at a time. Are you ready for some tall tales about these tall individuals? Giraffes have the same number of bones in the neck as we do – seven. Valves in the neck prevent blood rushing to the head when they bend down to drink. Babies stand at about two metres at birth - their horns lie flat at birth and pop up several days later. They are originally from Africa. Giraffes eat mainly acacia leaves but also shoots fruits and other vegetation. ZSL Whipsnade Zoo’s Butterfly House is one of the largest butterfly biomes of any UK Zoo. Featuring more than 30 different species from around the world, visitors are surrounded by hundreds of colourful butterflies. This chrysalis-shaped exhibit offers an exquisite tropical experience, as well as a wonderful place for families to learn about nature. As you travel through the butterfly domain, you will enter their interactive Metamorphosis Zone and be able to see every stage of the caterpillar/butterfly life-cycle. Featuring a puparium, the metamorphosis zone shows live pupae emerging from their cocoons with keepers on hand to demonstrate the art of raising butterflies. Throughout your journey through the Butterfly House, you could encounter the fearsome Blue Tiger, Zebra Longwing, or even the majestic Madagascan comet moth. Each of these species can be spotted through their vivid colours, colours that have hidden meaning within the Butterfly World. From camouflage to mating, colour plays an important part in a butterfly's life, and with their engaging talks you can unravel the mysteries. Use this handy Spotters Guide to identify the different species. Once you’ve encountered their fluttering friends, if you're feeling brave, you can head down to meet their West African Dwarf Crocodiles. Don’t let their teeth scare you, these swamp dwellers are one of the smallest crocodiles. Learn more about how these reptiles have come under threat through your travels in this fantastic exhibit. The Lions of the Serengeti exhibit provides unique and intriguing views of their pride of African lions – a truly unforgettable experience. Intrepid visitors can experience the sights and sounds of Tanzania's Serengeti National Park in the heart of Bedfordshire, where they will follow a village trail visiting a traditional Maasai dwelling and goat enclosure (boma) on the way to the lion viewing area. They will also be able to learn how herders share the environment with this awe inspiring king of the beasts. The innovative viewing area offers uninterrupted views of our pride roaming the plains of Whipsnade, through three metre high floor to ceiling viewing windows. They have even constructed a 'kopje' or sculpted mound in front of the windows, which has proved to be a favourite haunt of the lions, allowing a real close encounter with the pride of Whipsnade! They have also included special feeding and demonstration areas where keepers will undertake their daily routines to ensure that as well as watching the lions up close, visitors will be able to hear them roar and even smell them! All in all, a truly sensory experience which introduces visitors to some of the complexities of practical conservation in this East African region. Lions are unique among cats in that the male can be easily distinguished from the female (lioness) because he possesses a mane of hair. As in most cats, the eyes are adapted for seeing at night when they do a lot of hunting. The claws can be retracted in sheaths to prevent them getting blunted when walking across the savannah, which they can do almost noiselessly on soft pads. The visitor can watch the amazing pack of African Hunting Dogs explore their home from a fantastic raised viewing platform, where you can spot some of their most defining features such as their huge, rounded ears and their beautiful mottled coat. The Zoo's five sisters Donnie, Malindi, BeeBee, Brandy and Ginger joined them from ZSL London Zoo and they hope to form a new conservation breeding group in the future, as part of the European Endangered Species Programme. Renowned for their social nature, hunting dogs live in tight-knit units of up to 25 individuals; an attribute that is key to them being one of the most successful predators in the world, boasting a remarkable ‘kill rate’ per hunt of up to 70% compared to an estimated 20% for a pride of lions. They're one of the world's most highly social species, hunting, resting, and raising their young as a team. Unfortunately, such formidable predatory success is no guarantee of survival though; African hunting dogs are classified as endangered on IUCN’s Red List of Threatened Species and due to threats such as habitat fragmentation and human conflict their wild populations are in decline. As an internationl conservation charity, ZSL works in Kenya and across Africa to protect the species and alleviate human-wildlife conflict to help hunting dogs and people to share the same landscapes. Watch a fascinating video of African hunting dogs in the den at ZSL Whipsnade Zoo. Passage through Asia is a large rolling paddock with no barriers between you and the animals, housing Bactrian camels, yak, and Pere David's deer amongst others. Visitors can either drive-through this exhibit or just take the Jumbo Express! Passage through Asia's acres of open space give Whipsnade's animals lots of space to roam. As well as loads of grass to graze on, you can see our Pere David's deer and axis deer wading in to the large natural lake. Watch "Naughty Richard" demonstrate how he hunts and kills his reptile prey. Experience the macaws swooping around the bird arena in pairs. There is always so much to do at ZSL Whipsnade Zoo. To help you make the most of your day here's a list of their daily events, feeds and demonstrations. Starts : 10:30; Join their cheeky troupe of ring-tailed lemurs for their first meal of the day. Starts : 11:00; Visit the most ferocious Zoo residents and discover how the wolverine live and hunt in some of the world’s harshest habitats. Starts : 11:30; Meet the penguins that come from Africa! Find out not only how they stay warm, but how they cool down. Starts : 12:00 and 14:30; How clever is a sea lion and what do they do for fun? Starts : 13:30 and 15:30; Meet some of their feathered friends as they swoop above your head in this amazing free-flying bird demonstration. Starts : 14:15; Join these swamp-loving armour plated giants and learn why they play a vital role in conservation. Starts : 15:15; Join them on the forest floor and become a mini beast for this bug’s eye view of the rainforest. Starts : 16:15; Girl power rules at the home of these super dogs. Find out how teamwork makes them such great hunters. Starts : 17:00; Spot these armoured reptiles in their tropical home and discover how they got their fearsome reputation. Take a ride on one of our two impressive steam engines, Excelsior and Superior, as they weave their way through the territories of some of the world's most inspiring animals. Elephants, rhinos, yaks and camels are just some of the mammals you can expect to see on your journey in the Jumbo Express. With our exciting commentary, we will take you on a safari adventure you will never forget. Asked why people love the trains so much, driver and engineer Kevin Edwins said: “It’s the sheer magic of a steam-hauled railway. People love to hear the whistle and see the smoke - very few zoos have them.” Click here for the running dates. ZSL Whipsnade Zoo is considered reasonably wheelchair friendly. Free entry for one essential carer or free car entry into the Zoo is available per paying disabled adult visitor. The Wild Bite Café and Lookout Café. The Sealion Arena and Bird Arena to view the displays. Hullabazoo and the Children's Farm. The Estate Office (First Aid Point). The Safari bus and Road Train. Owl Wood - Access may cause wheelchair users some difficulty, as it is covered by bark chippings in order to subdue the noise. The Train - Please note that only two wheelchairs can be accommodated on the Train per trip. They have wheelchairs that are available for hire and it is advised to book them in advance of your visit by calling the Retail Shop on 01582 871517 or emailing generalenquiries@zsl.org. A deposit of £25.00 is required which will be refunded on return of the wheelchair at the end of your visit. The wheelchairs are non-motorised and are not self-propelling. They will fold to fit on the Open Top Bus providing the user is able to mount the steps onto the bus. The Double Decker Safari Bus has a drop down access ramp. Assistance dogs are not currently permitted inside ZSL Whipsnade Zoo because some of their animals react negatively to their presence. They are working with Guide Dogs UK to resolve this and hope to be able to welcome dogs to certain areas of the Zoo in the future. In the meantime, please contact their support centre in advance of your visit on 0344 225 1826 or email info@zsl.org to make alternative arrangements. 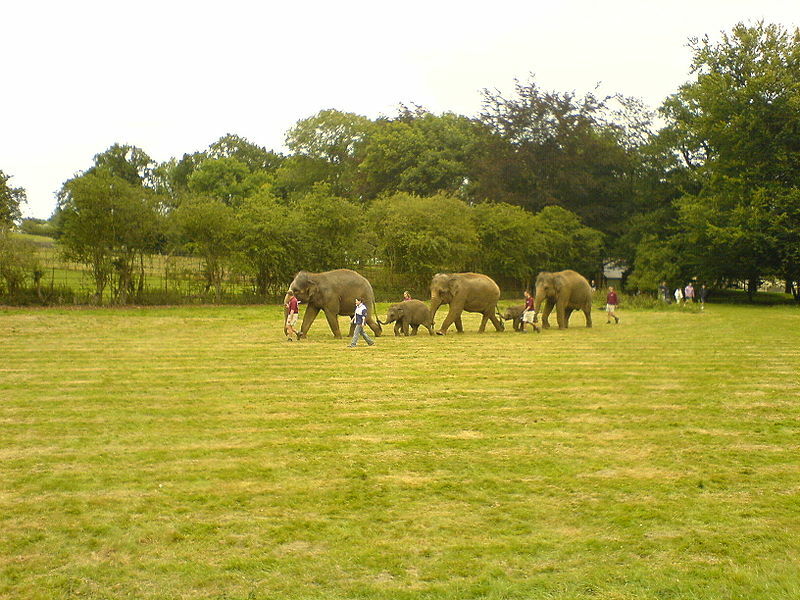 For a map of Whipsnade Zoo attractions please click here. They now have Micro Trikes available to hire, for toddlers to effortlessly whizz around the Zoo, on your visit. Their new Base Camp Restaurant opened on Saturday 10 February 2018 and offers great value, tasty food made from locally sourced, seasonal ingredients in a comfortable, modern, family-friendly setting. Lots of seating, electronic ordering and new table service means no queueing to collect food, leaving you to sit and relax while we prepare your meals. Menu items include favourites such as Sausage and Mash and Classic Caesar Salad, whilst our younger guests can choose from the kids’ menu with dishes including Chicken Goujons and Chips and Mac n Cheese. (Opening times during peak season: 10am – 5pm. Main hot food served from 11.30am until 3.45pm with hot sides available until 4.30pm). Base Camp BBQ: Weather dependant (Opening times during peak season: 12pm – 4pm). Situated at the heart of the Zoo on the main lawn, their pizzeria sells tasty, freshly made pizzas. They have three varieties for you to choose from; Margherita, Americano and Ham and Mushroom. There are also freshly made salads, potato wedges, a selection of cold drinks, as well as beers and wines available too. (Opening times during peak season: 11.30am – 4.30pm). River Cottage Kitchen and Deli. Formerly known as the Lookout Cafe and opposite their incredible white rhinos, this newest eatery opened in partnership with food writer and campaigner Hugh Fearnley-Whittingstall. Using the best quality seasonal ingredients, River Cottage’s commitment to quality, sustainably sourced ingredients and materials makes it the perfect eco-conscious eatery for Whipsnade and aligns perfectly with ZSL’s wider work. Adult dishes come full-size as well as in smaller portions for little ones. (Opening times during peak season: 11.30am – 3pm). You can also pop in to their River Cottage Deli, next door, selling light take-away snacks and wholesome salads. (Opening times during peak season: 10am – 5pm). Situated at the entrance of the Zoo, the Cafe serves deli sandwiches, hot savoury snacks (including sausage rolls and pies), plus your favourite hot and cold drinks. (Opening times during peak season: 9.30am – 6.30pm). Make the most of their Kids’ Bites offer where you can get five items for £5, as well as house-prepared sandwiches and salads, bakery items and hot and cold drinks. Subject to session availability. (Opening times during peak season: 10am – 5.20pm). Located within our Station Store next to the Great Whipsnade Railway, here you can grab a selection of sandwiches, bakery items and hot and cold drinks. (Opening times during peak season: 11.30pm – 5pm). The place to go if you have a sweet tooth! Selling waffles, ice creams and sweet treats, plus a range of drinks to help you warm up on these cold days! (Opening times during peak season: 12pm – 4pm). Sustainability. From June 2016, the Zoo stopped selling single-use plastic water bottles, instead swapping them for a sustainable alternative, CanOWater. Customers are also able to refill their water bottles at various catering outlets around the Zoo. These changes are part of ZSL's #OneLess campaign, which aims to reduce the amount of plastic entering our oceans. Transport: Luton (National Rail) 20 miles taxi OR St. Albans (National Rail) then bus. Bus routes: Centrebus route 34/35. There is no service on Sundays or Bank Holidays. Opening Times : September through March 10:00 to 17:30 daily. Opening Times : April through August 10:00 to 18:00 daily. Tickets OnLine: Adults £22.90; Children (3 - 15) £16:60; Concessions £20.65; Carers Free. Tickets Jumbo Express: Adults £4.50; Children £2.00; Carers Free.